The 2003 unsolved homicide of Michael Zsigray. 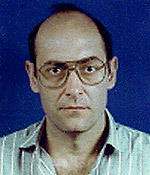 Michael Zsigray, age 46, was found beaten to death in his mobile home on Route 4 in Barrington, NH, on April 23, 2003. An autopsy revealed that Michael died as a result of blunt force trauma to the head.